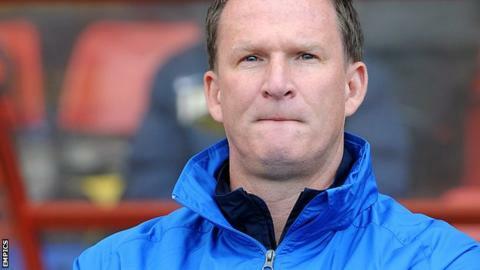 Manager Simon Grayson says Preston's 6-1 hammering of Carlisle on Saturday had been coming for some time. Preston scored six in a league game for the first time since September 2010. With top scorer Joe Garner missing for family reasons, on-loan striker Craig Davies made the most of his chance, netting a hat-trick at Deepdale. "We said somebody was going to be on the end of a bit of a spanking and, unfortunately for Carlisle, it was on Saturday," said Grayson. He told BBC Radio Lancashire: "We've been saying for the last few months that we've had some very good performances and the scoreline hasn't suggested how well we've played." Davies, 28, had not scored since 25 February and the Preston boss was pleased to see him return to form. Grayson added: "He'll be the first to admit that, over the last few weeks, he's probably been a bit short in what we've asked him to do and he's been in and out of the team. "But when he's really on song, and that's why we brought him in, he's a handful for anybody. He's done that in the Championship and he was lively on Saturday. Both he and [strike partner] Stuart Beavon were outstanding." Preston are fifth in League One and have already secured a play-off place, but their chances of winning automatic promotion appear slim as they trail second-placed Brentford by eight points with four matches to play.